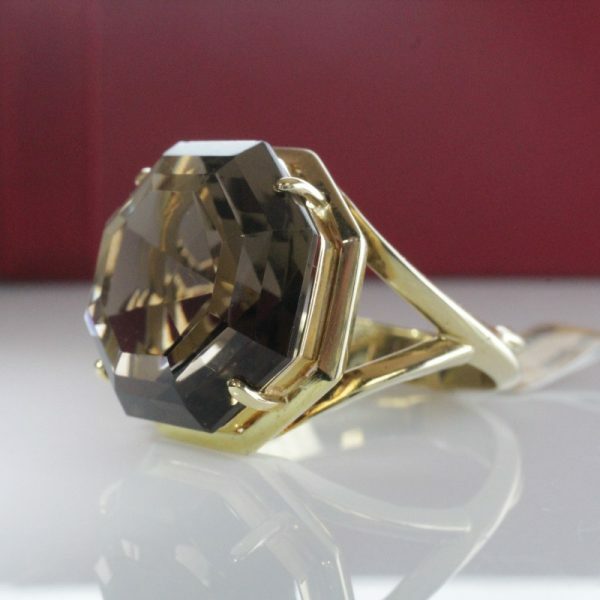 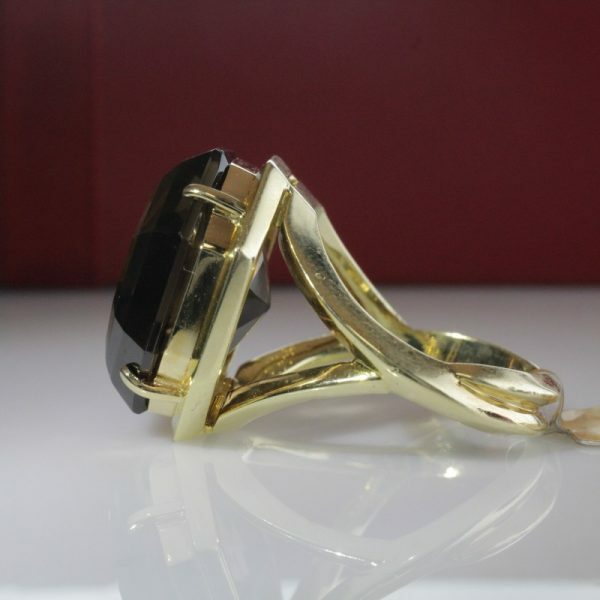 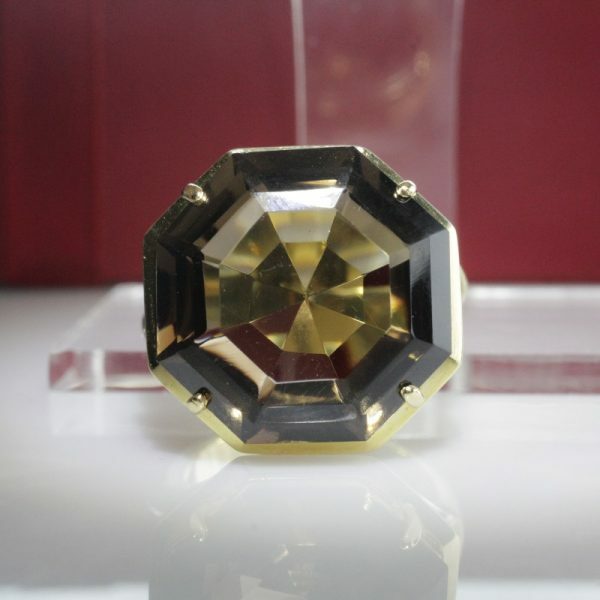 Striking octagonal smokey quartz set in a heavy 18k gold setting. 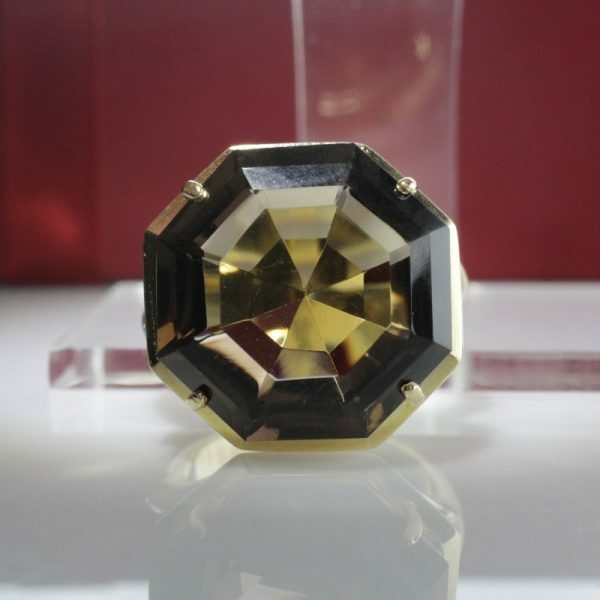 This statement piece is stunning. 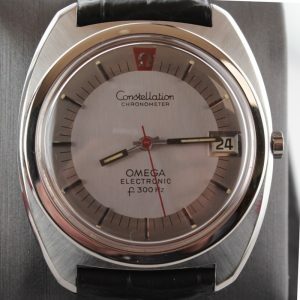 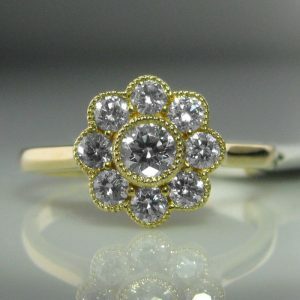 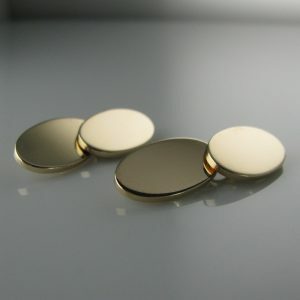 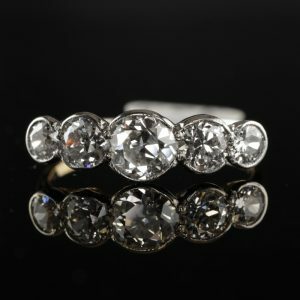 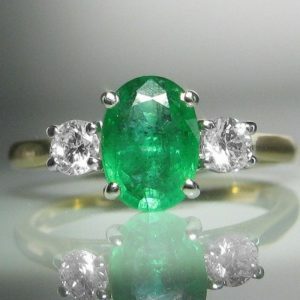 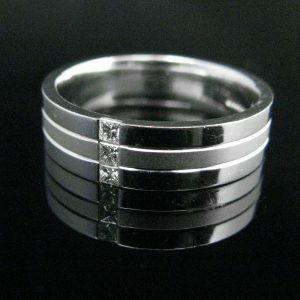 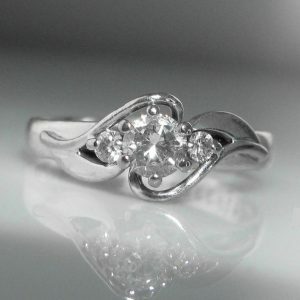 The ring is size N and is suitable for resizing if required.